AIP works to preserve and make known the historical record of modern physics and allied sciences. The American Physical Society (APS) is a non-profit membership organization working to advance and diffuse the knowledge of physics. The Institute of Physics is a leading scientific society promoting physics and bringing physicists together for the benefit of all. IUPAP's mission is to assist in the worldwide development of physics,to foster international cooperation in physics, and to help in the application of physics toward solving problems of concern to humanity. 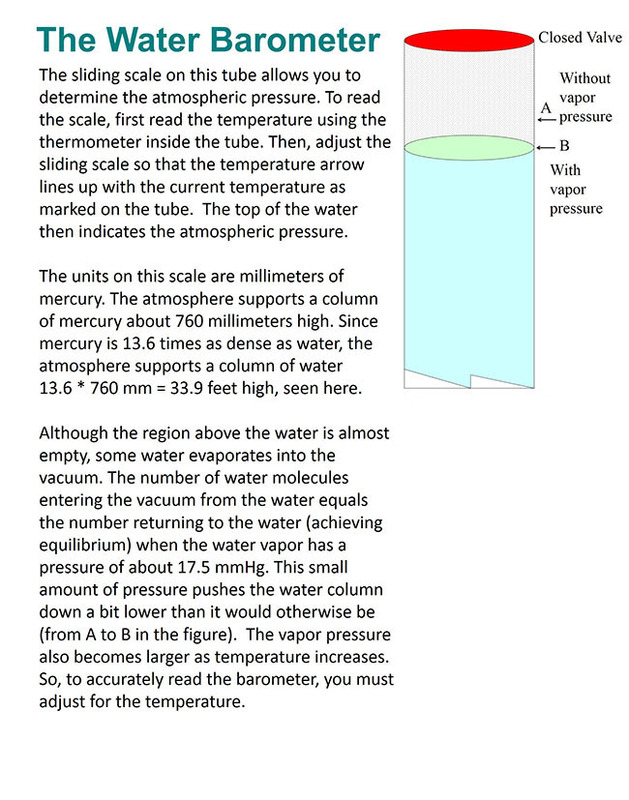 This guide to Physics resources and library services is designed to help you find the information you need. Use the tabs at the side of this page to explore our resources and services. If you need further help please contact the Library at 301-546-0476. We are eager to help you find the best information available and to find it quickly. 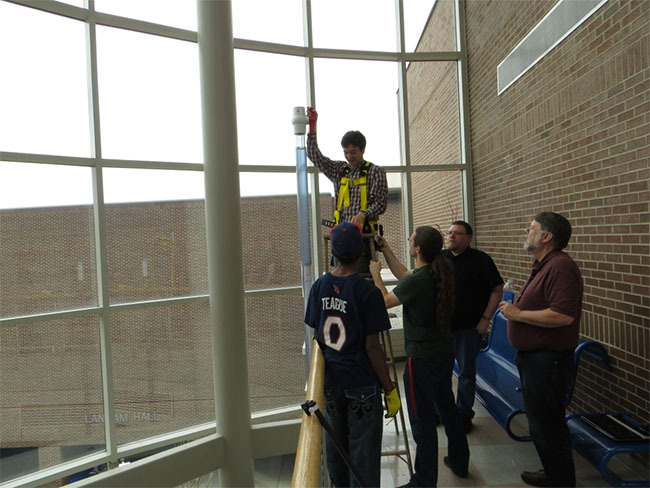 Barometer team members Prof. Alex Wong (on the ladder), Leonce Koyakosso (left), and Mark Mills (second from left) prepare to fill the barometer with water, while supporting faculty Prof. Gary Fry (third from left) and Prof. Scott Sinex (right) look on. The barometer construction crew. 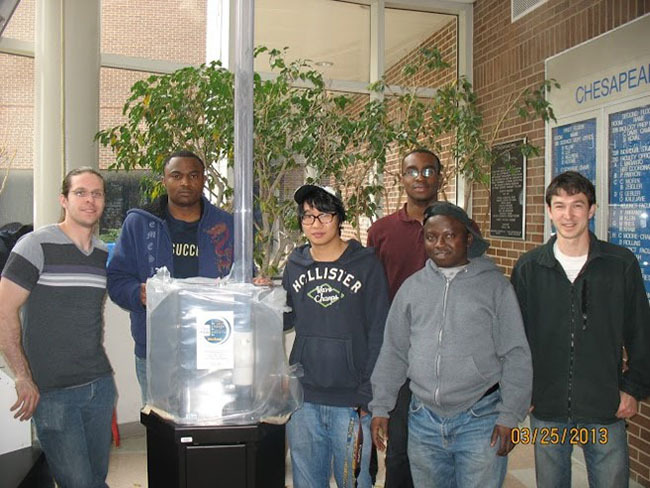 From left to right, team member Mark Mills, volunteer Marsien Ngoufack, volunteer Xianxing Wang, team member Adekunle Olayiwola, volunteer Solomon Ekomteh, and team member Prof. Alex Wong.